Valentine's Day isn't just a time for showering your loved ones with appreciation, it's also a perfect time to show some affection to your neglected, cluttered and disorganised wardrobes! As we’re in and out of our wardrobes so often, sometimes changing outfits a few times a day, it’s no wonder they can get pretty messed up. Taking the time to reassess and reorganise your wardrobes can save you a lot of time and energy in the long run, and can help you clear up some space for future purchases. Here are our five steps to showing your wardrobe some love this Valentine’s Day. When was the last time you piled up all of your clothes and assessed everything you own? Decluttering expert, Marie Kondo, suggests the best way to declutter your wardrobe is by doing just this, making a mountain of all the clothing you own and working through your items one by one, deciding whether they bring you joy. Anything that doesn’t spark joy in your heart, Marie says should go to charity or be thrown away. This way, you can fall in love with your wardrobe again, knowing that everything in it is something you really like. If a spark of joy isn’t enough to help you make decisions about your clothes, we’ve come up with five questions to ask yourself while sorting through your pile. Do you get excited to wear it? If you look at a piece of clothing and can’t picture it as part of an outfit, or can’t picture it making you look good, you’re unlikely to ever put it on. Many of us fall victim to the spontaneous sale buys, items we picked up because they were a bargain, and not because they looked great on us. If you don’t get excited to put it on, maybe it’s time to part with it.2. 2. Have you worn it in the last few months? Unless it’s an item from a different season (e.g. swimwear for Summer), or occasion wear, a great way to judge whether you love an item of clothing is if you’ve worn it recently. If it’s in season, and you haven’t worn it in the last couple of months, this is a good indication that you can live without it and probably don’t love it that much. For clothing that’s out of season, ask yourself if you’ve worn it in the last year. 3. Does it fit well? Sometimes we buy items of clothing in the hope that we’ll soon fit into them, that we can alter them, or that some miracle will happen and it will suddenly suit us. If there are some items you’re unsure about, try them on in front of the mirror and be honest with yourself. If it doesn’t flatter you and most importantly, make you feel good, then it makes sense to let it go. 4. Does it hold sentimental value? If you have an item of clothing with a special meaning, like a wedding dress or concert memorabilia, then keep and display them! Don’t force yourself to throw out clothes that hold special memories, instead, celebrate and show them off in the house somewhere. 5. Would you miss it? Still struggling with a few items? Place them in a box or a bag and hide it away for a month. If you miss any of the pieces, then you know you should keep them! If you forget any even existed, that’s a clear sign you can let go of them. Once you’ve chosen the clothes that bring you joy, it’s time to display them with pride. Clothes that are squished together, layered on coat hangers, or piled on top of each other in a dresser, are less likely to appeal to you than clothes that are hanging neatly in a wardrobe, or folded in a drawer in a way that displays everything. Another Marie Kondo trick is to fold your clothes into rectangles, then display them in a line in your drawers, rather than pile them up. Not only does this make them look tidy, it also makes all of your clothes easily accessible at all times. It’s also recommended that you take chunky knitwear and winter jumpers down from coat hangers, and fold them to be displayed on a shelf. This will free up space in your wardrobe for things that need hanging up to prevent creasing, or for clothes that are doubled up on hangers. 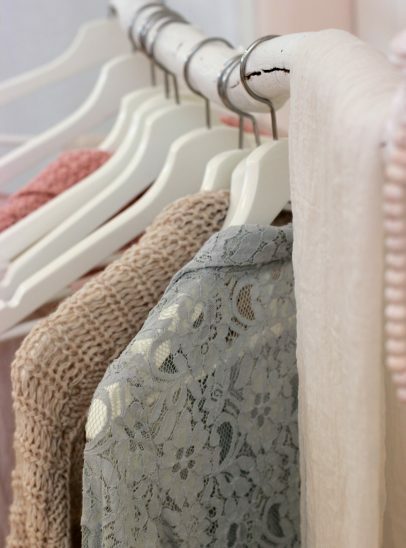 After all of your items have a hanger or shelf space, you have the choice to go one step further in making your wardrobe organised and aesthetically pleasing- by categorising your clothes in seasons and colour. Storing in seasons will mean you can find items quicker when you need them, saving you time and energy. Storing in colours will make opening your wardrobe an enjoyable experience and will make it easier to put together outfits from your selection. Whether you choose one, or both organising methods, you’re bound to feel an increased sense of pride over your wardrobe. After deciding on the clothes your keeping, and assessing the best place to store them, you might decide you could show your wardrobe love with new storage solutions. Whether you have a big shoe collection, a handbag for every day of the week (or month! ), lots of accessories, or lots of clothes that would benefit from shelves, we have the internal solutions to solve your problem! Check out the full range of Kindred internal storage here. 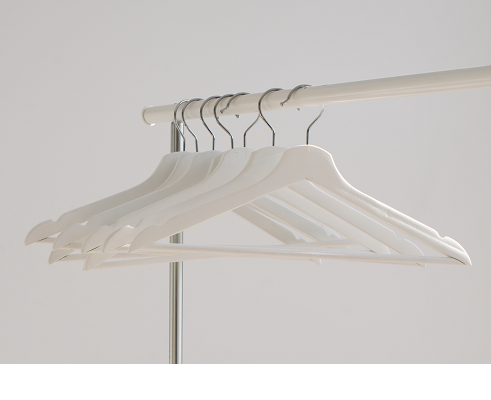 Although sometimes overlooked, coat hangers play a key part to the aesthetics of the inside of your wardrobe. If they are different sizes, materials and colours, your wardrobe could look mismatched, cramped and haphazard. For an extra finishing touch to show your wardrobe some love, we would recommend investing in a selection of sturdy, matching coat hangers that will stand that test of time while making your wardrobe look seamless. The last in our steps to showing your wardrobe some love is to make it smell amazing. 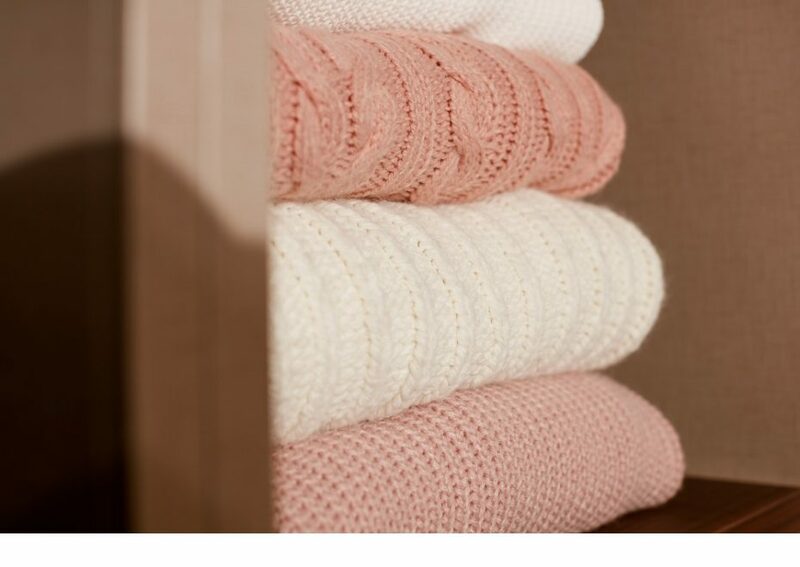 You can wash your clothes in scented detergent or softner, but once it’s been hung in the wardrobe for a while, there’s the chance the lovely smell could fade. To keep your wardrobe smelling fresh, spray your favourite perfume onto a tissue or cotton ball, allow to dry, then place in the bottom or top of your wardrobe and drawers. If this isn’t for you, cleaning influencer Mrs Hinch (Instagram @mrshinchhome), suggests placing Lenor Unstoppable beads into organza bags and hanging these up. They will fill your wardrobe with a beautiful scent, therefore your clothes will smell lovely too! Do you have anymore tips for showing your wardrobe some love this Valentine’s Day? We’d love to hear them- let us know over on social media! 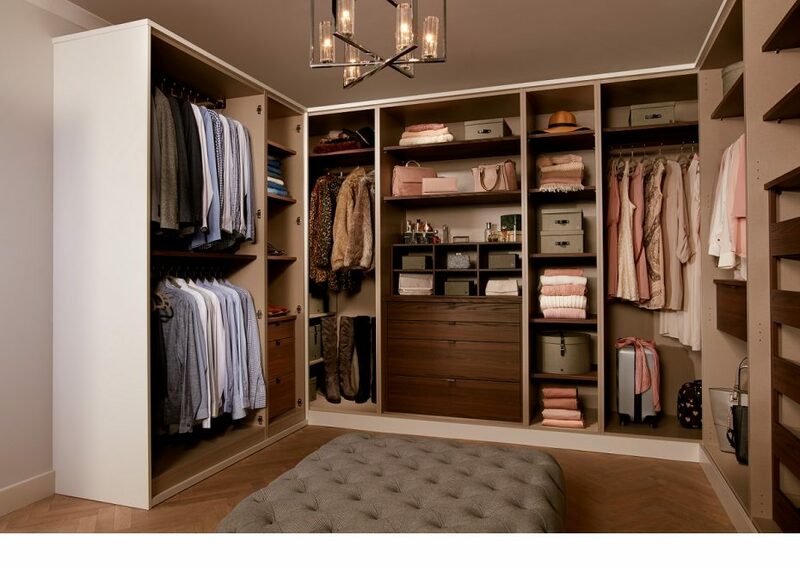 Searching for your dream fitted wardrobe? Browse our full range of wardrobe options and finishes here.